Eight classical works that can be used as stand-alone solos or as ensemble pieces. Each piece includes chord symbols in concert pitch for use by piano or guitar. In addition the player can use the full backing track from the CD as accompaniment. 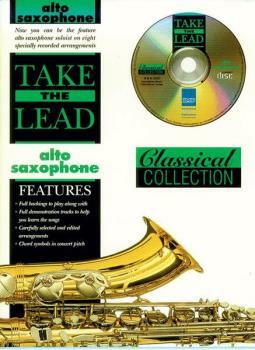 The CD also includes tuning notes and full-version demonstration tracks of each piece to help each musician learn the music. Titles are: Dance of the Sugar Plum Fairy * In the Hall of the Mountain King * Polovtsian Dance * Radetzky * Sheep May Safely Graze * The Swan * Symphony No. 40 * The Toreador's Song.